University of Miami M. Miller School of Medicine. Stefan Glück, MD, PhD, is V.P of Global Medical Affairs, at Celgene Corporation since October 2014, and a medical oncologist with focus on breast cancer. He has overseen breast, ovarian and bladder cancer activities worldwide, as well as the Immuno-Oncology Program in solid tumors. Recently, his job requirements have shifted to include early assets, GI, and pancreatic cancer. He previously served as a Sylvester Professor in the Department of Medicine at Miller School of Medicine, University of Miami, Florida until September 2014. 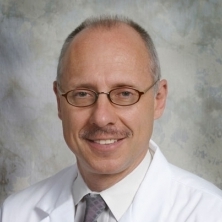 From 2003–2008, he was the Clinical Director of the Braman Family Breast Cancer Institute, and from January 2009 - December 2010 Assistant Director of the Sylvester Comprehensive Cancer Center and Associate Chief, Division Hematology & Medical Oncology. He has been a PI of 37 clinical studies of breast cancer in Miami, as well as investigator in numerous scientific, translational projects. Before his move to Miami, Dr. Glück was Director of Southern Alberta Breast Cancer Program at the Tom Baker Cancer Center, a Professor in the departments of oncology, medicine, pharmacology & therapeutics at the University of Calgary, Alberta, Canada, and Deputy Head, Dept. of Oncology at the University of Calgary. He completed his medical studies at the Free University of West Berlin, Germany. The internship in Berlin was followed by residency in internal medicine and fellowship in hematology at the Heinrich Heine Universität in Düsseldorf, Germany, and a medical oncology & bone marrow transplant fellowship at the Princess Margaret Hospital, University of Toronto, Canada. Dr. Glück was presented the “America’s Top Oncologists” 2008 award from Consumers’ Research Council of America, as well as “Best Doctors in America” honor since 2006, and has annually earned that prestige every year to 2014. This award was warranted after less than 3 years of working in the United States. He is a member of such prestigious professional organizations, as the American Society of Clinical Oncology, European Society for Medical Oncology, American & European Association of Cancer Research, and the International Association for Breast Cancer Research. He is a reviewer of numerous journals e.g. : Journal of Clinical Oncology, European Journal of Cancer, Lancet Oncology, Lancet, Breast Cancer Research, The Oncologist, The Breast Journal, Clinical Breast Cancer and many others, and has authored or co-authored over 250 articles. In addition, Dr Glück has written or co-written a number of book chapters and numerous journal abstracts, and has presented more than 350 papers at national and international meetings.